The first Eternal Champion game was Stormbringer, based on Moorcock’s Elric and named after his demonic sword. The content didn’t change much between the first 3 editions. 3e was the one that caught my attention – UK gaming in the 80s meant White Dwarf magazine, and Games Workshop. The game might not be totally faithful to the books but it’s a really good game. Rather than conjuring generic demons, there were categories (demons of protection, knowledge, desire, etc). 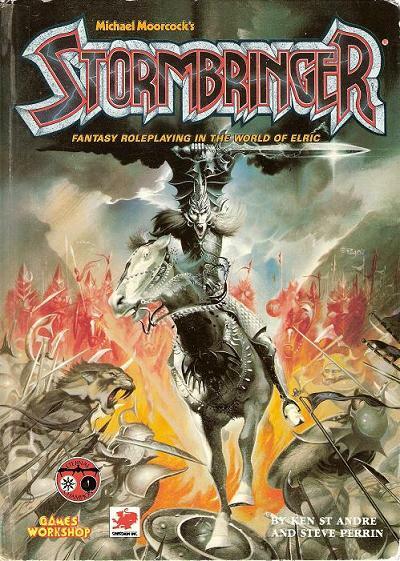 Next to D&D’s bland four-colour superhero magic users and clerics, Stormbringer has real flavour and connects the players to the forces of Chaos. There’s also a whiff of Cthulhu’s nihilism. 4e changed the demon summoning rules for the worse IMO. But otherwise it kept the feel of 4e Cthulhu which was no bad thing. It has a gorgeous cover by Michael Whelan. 5e was briefly renamed Elric!, which was an awful name that let down a great product. The system was streamlined and spells added – making it a hybrid between Stormbringer and Runequest. The original name returned for the last time in 2001. I belive that edition is pretty much a tidied-up Elric!. 5e Stormbringer is stll fan-supported, though the last news on that site was in August 2011. 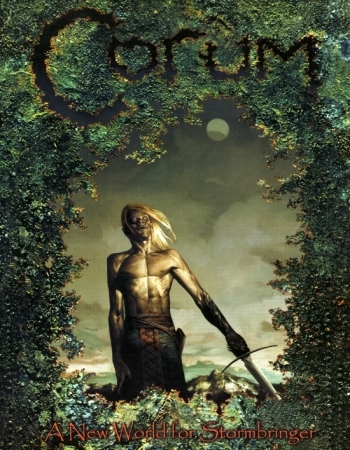 Corum was produced as a supplement for Elric!. This is a really good supplement. 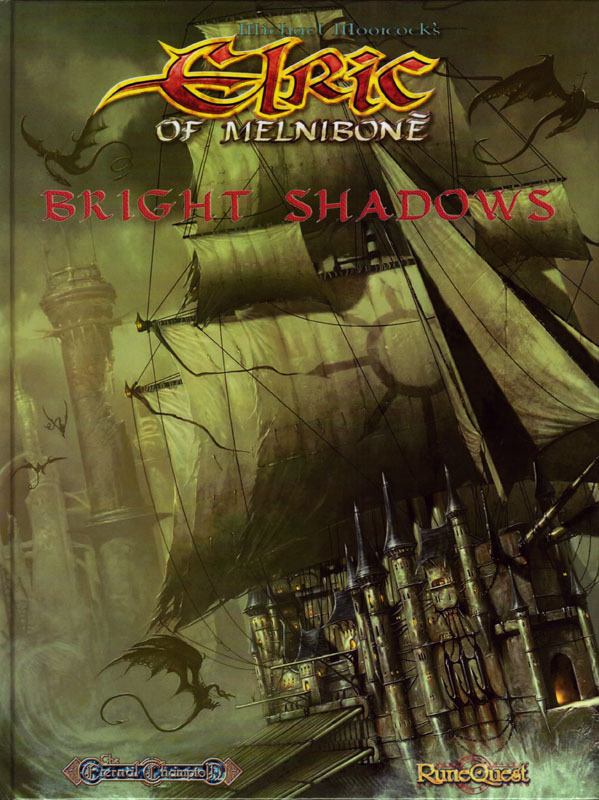 A completely new magic system that felt more in touch with the books and as characterful as the original Stormbringer and an approach that contrasted nicely. It felt like a brand new game. Is Darcsyde still alive? Wikipedia thinks so. It’s a shame that they aren’t going to produce their Hawkmoon supplement. I read Hawkmoon first. Dorian Hawkmoon is a whining self-absorbed ninny; he’d fit right into a Vampire campaign. Aside from that the far future Europe under the fascist mask-wearing Granbretan is a magnificent setting, and pitting the players as guerillas against the totalitarian machine makes for huge potential. Compared with Elric, Hawkmoon’s rpg releases have been low key. Allegedly the first edition (a supplement for Stormbringer) didn’t capture the books well (I haven’t read it). It faded into obscurity in English, but it has a cult following in France. How I would love to read Oriflam’s french-only 2nd edition. Somehow that cover manages to get Hawkmoon right – his armour is a futuristic ceramic material, crafted in a way that steel couldn’t be – but the attitude is medieval. Although Mongoose’s version gets the “arcane science” bit of the Tragic Millennium, the art does not do the setting justice. I’m pleased that Mongoose restarted an Eternal Champion line, although it looks like Elric alone made it to a second edition. So much for their version of Corum, I guess. Having started wearing glasses in the last couple of years, I appreciate readability in books. I love my iPad for reading (though it’s a poor cousin to the Kindle). I can’t be the only aging RPG geek with failing eyesight. And I have to wonder what the hell Mongoose were thinking, printing the Elric and Hawkmoon books on grey paper. Not only did they print them on a mottled grey background, they printed in tiny text with huge margins, with too many weird fonts. Hawkmoon is just about readable because they’ve kept the conventional chapter headings at the top of the page. Elric is a disaster, with chapter headers on the side of each page, in a weird font. Chapter headers are not just a cosmetic afterthought, they help the reader orient herself in the text. The way all the Elric supplements are written causes the text from one chapter to run into the next. Magic of the Young Kingdoms is particularly bad, because distinct flavours of magic are rendered down to a uniform grey pulp. When I compare it to the Bronze Grimoire, it’s an embarrassment. I hear these criticisms of Mongoose that their products look unfinished or badly thought out, and in the case of Elric this is 100% true. For Hawkmoon it’s a little better, but neither inspire me to read them. 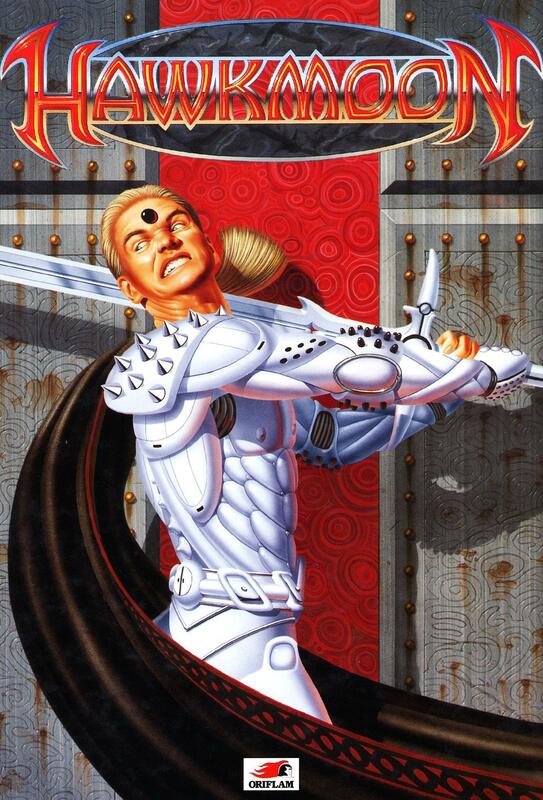 I’ve just ordered an old stock copy of RQII to have a look at the updated system (Elric and Hawkmoon use their flawed first reboot of RQ) and I don’t have high hopes, but perhaps the thing will at least be printed on white paper. The covers of the Mongoose offerings vary a lot in quality. The main rulebook and the companion are a joke, but I quite like the Melnibonean Battle Barge on the cover of Bright Shadows – though the uniform green-brown washes out the detail with lack of contrast. Also, battle barges shouldn’t have sails… the Melniboneans have drugged up human slaves to pull the oars. The edition I like most is probably the 4e Stormbringer, but for content and playability of system, Elric! is hard to beat. For maximum flavour I’d pick the 1e Stormbringer demon system, which is brutal but highly coherent. It may be nostalgia, but I also feel that the quality of supplements for the Chaosium products – particularly the likes of Sorcerors of Pan Tang for 4e – is much higher than later offerings. Luckily for us, pdfs are available. So much Eternal Champion-related rpg material… have to check it sometime. Must admit to a certain nostalgic softspot for the Hawkmoon series. as it was the first Moorcock i actually got to read in book format. Sorcerors of Pan Tang makes me think of the Corum series and the surprise i got out of the human’s name in that world – Madben, a name connected to the Pantangians (at least in Chaosium’s rpg). The Million Spheres and its many, many curious byzantine connections. Hey, thanks for dropping by. Hawkmoon was my introductino to Moorcock,too. If you check out the Mongoose Hawkmoon books, I recommend getting their Legend core book for a dollar in pdf–it’s pretty much identical to MRQ2, which is a big step up from the system presented in those books. Heh, “introductino”. Should be a sub-atomic particle.